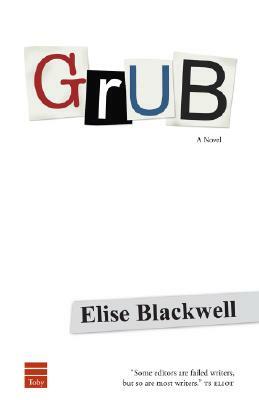 Compassionate and pointedly funny, "Grub" reveals what the publishing industry does to writers--and what writers do to themselves and each other--for art's sake and in pursuit of celebrity. "The Devil Wears Prada" meets publishing! Jackson Miller and Eddie Renfros are both friends and rivals. Which one would you argue is the novel's hero? Which one is more sympathetic? Does Jackson possess any endearing traits? What are Eddie's flaws? Does Amanda make the logical choice in choosing one over the other? The title of the novel refers to both New Grub Street and the posh restaurant where Doreen works. What connotations does the word "grub" have and how are they present in the novel? Grub can be read as a satire, and its characters as "types." For instance, Henry Baffler is a classic starving artist, while Amanda Renfros can be read as a heartless social climber. Do such characters illuminate human types outside of fiction? Do you think the characters in Grub are based on actual people? Does the world of Grub mirror contemporary commercial publishing? To what extent are the "unsuccessful" writers, particularly Margot Yarborough and Henry Baffler, responsible for their own fates? To what extent are they victims of the publishing business? Would you say that they are happier or more miserable than the writers who decide to write for a more popular audience? Do any of the "novels" within the novel sound like books you would want to read? Would you rather read Conduct or Sea Miss by Eddie Renfros? Does Margot's Pontchartrain sound like a novel worth reading? What about the novels penned by Jackson and Amanda? Why or why not? Writing in The Guardian, D. J. Taylor claims that New Grub Street is "one of those terrible books-terrible, that is, to anyone who has ever picked up a pen in earnest-in which every piece of human psychology on display is fatally bound up with the circumstances of literary production." He notes that "the characters who succeed in their ambitions are generally those who care least about literature." Can the same be said of Grub? Why do you think the author dedicated the book to "every writer with an unpublished novel?" While living as part of a museum exhibit of writers, Henry Baffler worries that the novel itself has become a "museum piece." Is the literary novel a historical artifact, or is its future brighter than the one Henry sees for it? What makes you think so?